Henry Abramovitch, Ph.D., is training analyst and founding President of Israel Institute of Jungian Psychology. He has served on Ethics and Program Committees of the IAAP and provides supervision to Developing Group in Poland. He is Professor at Tel Aviv University Medical School and served as President of Israel Anthropological Association and as co-facilitator of Interfaith Encounter Group. He is author of The First Father (2nd edition, 2010) and forthcoming volume on brothers and sisters. His special joys are poetry, dream groups, and the holy city of Jerusalem, where he lives with wife and family. Jerome S. Bernstein, M.A.P.C., NCPsyA., is a Jungian Analyst in private practice in Santa Fe, New Mexico. He is a senior analyst on the teaching faculty of the C.G. Jung Institute of Santa Fe of which he is a former President. He was the founding President of the Jungian Analysts of Washington (D.C.). He is the author of Power and Politics, the Psychology of Soviet-American Partnership (Shambhala 1989), Living in the Borderland: The Evolution of Consciousness and the Challenge of Healing Trauma (Routledge 2005) and is co-Editor, along with Philip Deloria, of the groundbreaking book, C.G. Jung and the Sioux Traditions by Vine Deloria, Jr. (Spring Books: 2009), in addition to numerous articles concerning international conflict, shadow dynamics in the collective psyche as well as various clinical topics and lectures internationally on these and other subjects. Patricia Damery, M.A., is an analyst member of the C. G. Jung Institute of San Francisco in private practice in Napa, California, where she and her husband farm a Biodynamic organic ranch. She has published numerous articles, as well as a book detailing her analytic training and simultaneous entry into Biodynamic farming: Farming Soul: A Tale of Initiation. 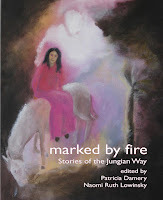 Her novel, Snakes, the story about the demise of the family farm and the impact on one family, told through the mythology of the snake, was published by Fisher King Press in March 2011. Her forth coming novel Goatsong, a story of the resilience of love, is to be published 2012. Claire Douglas, Ph.D, is a clinical psychologist and Jungian analyst. She trained at the New York Association for Analytical Psychology and has been a training and supervisory analyst with the C. G. Jung Institute of LA since 1992. She lectures and writes books and articles on Jung and on women’s psychology. Her latest, The Old Woman’s Daughter, was the fourteenth of the Fay Lecture Series. She is deeply grateful to live and still practice in a house on a bluff looking out over the Pacific Ocean. Gilda Frantz, M.A., is an analyst practicing in Santa Monica, California. 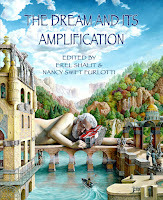 She is co-editor in chief of Psychological Perspectives, a Jungian Journal of World Thought, and is a Director of the Philemon Foundation, Emerita. She served on the Board for five years, during the planning and publication of The Red Book. Gilda lives with her mixed poodle/terrier, Spike, whom she found at an animal shelter. Jacqueline Gerson, J.A., is a Jungian analyst with a private practice in Mexico City, where she works as an analyst, teacher and supervisor. With a life long passion for dance and movement she first approached dreams as spontaneous choreographies created by the psyche. That discovery led to her to the study of analytical psychology eventually to become an individual member of the IAAP . She lectures on topics related to analytical psychology throughout the world and has been published in The San Francisco Jung Institute Library Journal, with Daimon Verlag, Brunner-Routledge, Spring Journal, as well as the Mexican Magazine Epoca. Sharon Heath, M.A., is a certified Jungian Analyst in private practice and a faculty member of the C. G. Jung Institute of Los Angeles. She writes fiction and non-fiction exploring the interplay of science and spirit, politics and pop culture, contemplation and community. She has given talks in the United States and Canada on topics ranging from the place of soul in social media to gossip, envy, secrecy, and belonging. She served as Associate Editor of Psychological Perspectives and Guest Editor of the special issue The Child Within/The Child Without. Her novel The History of My Body was published by Genoa House in 2011. Jean Kirsch, M.D., is a psychiatrist and Jungian analyst practicing in Palo Alto, California. She is married to the Jungian analyst Tom Kirsch, the son of Hilde and James Kirsch, who were instrumental in founding the C. G. Jung Institute of Los Angeles. She is past president of the C.G. Jung Institute of San Francisco, where she continues teaching as a member of the faculty. Her current interests include grandmothering, writing, and teaching Analytical Psychology, both in San Francisco and for the several developing Jungian groups in Taiwan and mainland China. Chie Lee, M.A., is a Jungian analyst with a private practice in Beverly Hills and West Los Angeles. She received a Master’s degree in Counseling Psychology in 1990 from Pacifica Graduate Institute. She was trained at the C.G. Jung Institute of Los Angeles and received her diploma in 2000. Chie has been an active member of the Los Angeles Jungian community. She teaches and supervises in the Institute Training program and serves on the Board and many Committees. She has given seminars on Chinese fairy tale, movie and Avant-Garde art. Chie served as the President of the L.A. Institute from 2010-2012. 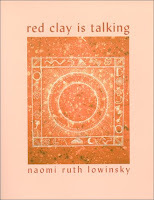 Naomi Ruth Lowinsky, Ph.D., is an analyst member of the San Francisco C.G. Jung Institute, and a widely published poet. Her recent memoir, The Sister from Below: When the Muse Gets Her Way tells stories of her pushy muse. She is also the author of The Motherline: Every Woman’s Journey to Find her Female Roots and three books of poetry. The most recent is Adagio & Lamentation. 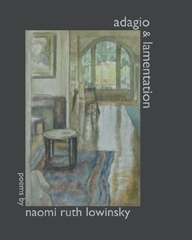 Lowinsky has written many essays in what she considers her “Jungian memoir” mode, They have been published in Psychological Perspectives and in the Jung Journal. She teaches and lectures in many settings. She is the winner of the Obama Millennium Award for a poem about Obama’s grandmother. Robert D. Romanyshyn, Ph.D., is a Senior Core Faculty Member of the Clinical Psychology Program at Pacifica Graduate Institute and an Affiliate Member of The Inter-Regional Society of Jungian Analysts. Author of six books, numerous chapters in edited volumes and journal articles, he is currently working on a series of small books that explores outside the boundaries of academia various ways of saying soul. Two works in this series are his recently completed DVD, Antarctica: Inner Journey in the Outer World, which explores the chiasm among images, music and words, and a book of poems, Leaning Toward the Poet. Dennis Patrick Slattery, Ph.D., is Core Faculty in the Mythological Studies Program at Pacifica Graduate Institute. 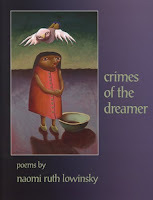 He is the author , co-author, editor or co-editor of 17 books, including four volumes of poetry. The author of dozens of articles in journals, magazines and newspapers, Dr. Slattery continues to work in the cross-currents of poetry, myth and depth psychology. He offers Riting Retreats on one’s personal myth across the United States and in Europe. His new book, Day-to-Day Dante: Exploring One’s Personal Myth Through The Divine Comedy, is available on his website. He is finishing a new book, Riting Myth, Mythic Writing: Plotting Your Personal Story. Karlyn M. Ward, Ph.D., L.C.S.W., is an analyst member of The C. G. Jung Institute of San Francisco, and is in private practice in Mill Valley, California. She writes and teaches on the relationship of music to the psyche, works with music as an entré to active imagination, and is a Fellow in the Association of Music and Imagery. Her DVD, Anchored in the Heart: Redeeming the Dark Feminine explores the implications of the figure of Mary of Magdala in word, art, and music. Her book Visitation in a Zen Garden almost wrote itself after a family of grey foxes (parents and four kits) took up residence in the backyard zen garden designed by her husband, Richard Ward. She is continuing to write about her archetypal experiences.